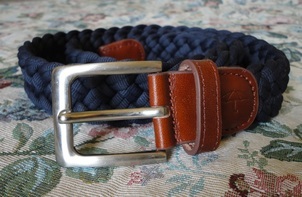 This belt was sent to me for test and evaluation in the colour Navy Blue. At the time of writing, it is available in five colour choices. It is presented as a unisex belt and, although we asked for a size to fit my husband, I would not hesitate to wear it myself. It has a clean aesthetic that goes with casual attire, but adds a touch of unstudied elegance. 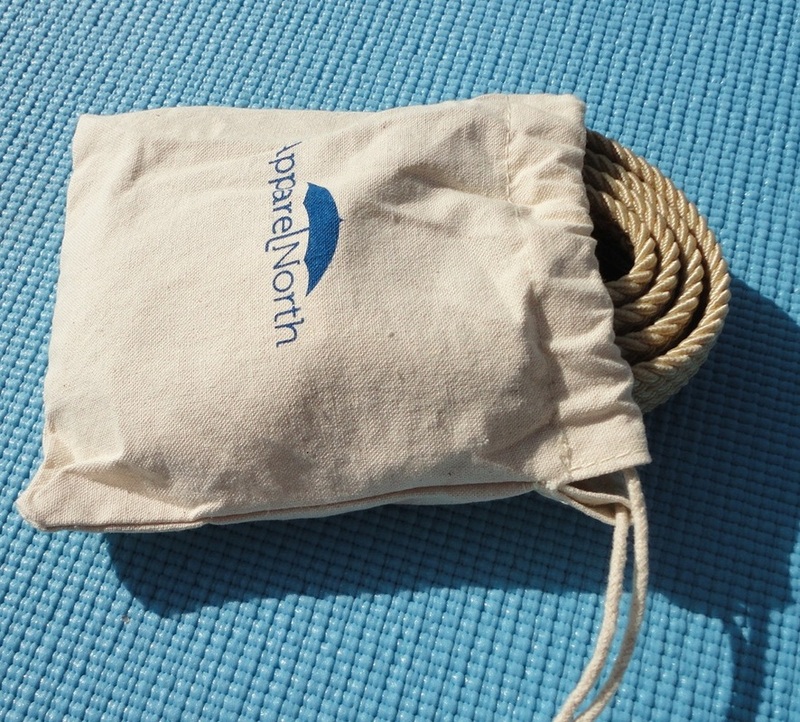 It is made of a tightly woven canvas material, and smooth, top-quality leather. 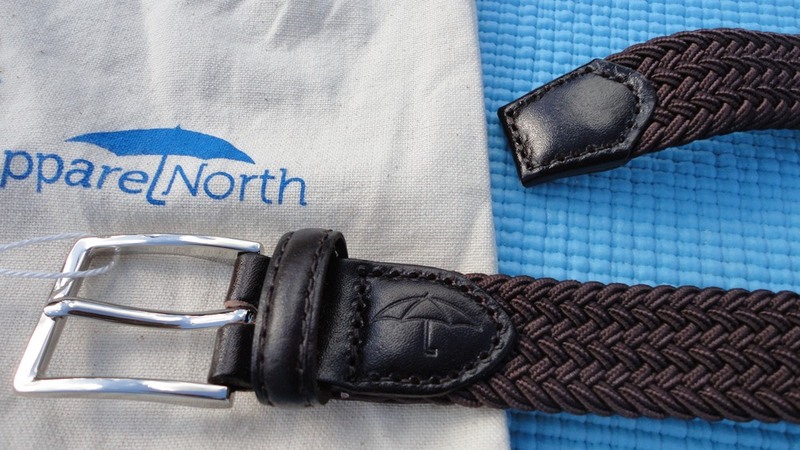 Manufacture and finishing are faultless, with the brand logo etched on one side of the buckle. 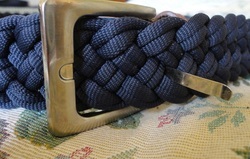 The belt is plaited and instead of pre-cut holes, the buckle tongue can be inserted anywhere along its length by pushing it between strands of the braid. This gives the greatest possible range of adjustment but can occasionally cause the buckle tongue to lodge in its groove a little askew. I have found that a small tug helps seat it securely. The sizing is accurate. I asked for a size Large, which measures 110 cm but, due to its braided structure, there is a bit of stretch which follows your movements and is a great plus if you wear it for active sports or dislike restrictive garments. 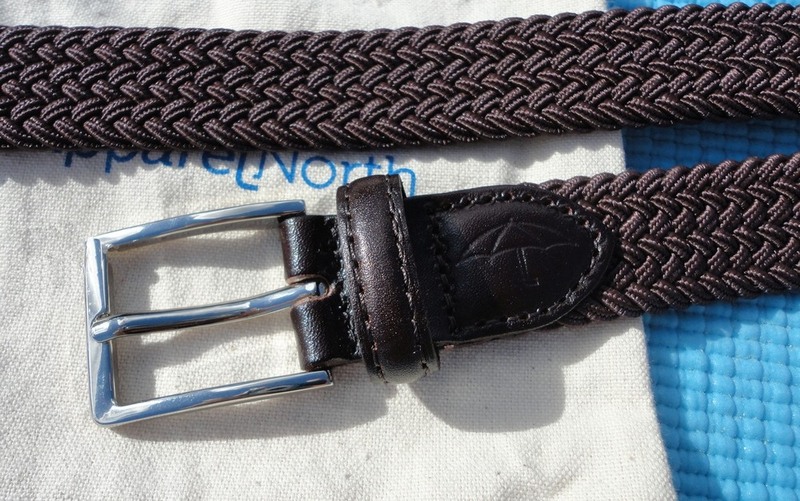 This belt is a nice width (3.5 cm or 1 ½ inches) and a bit thicker than the average all-leather belt. 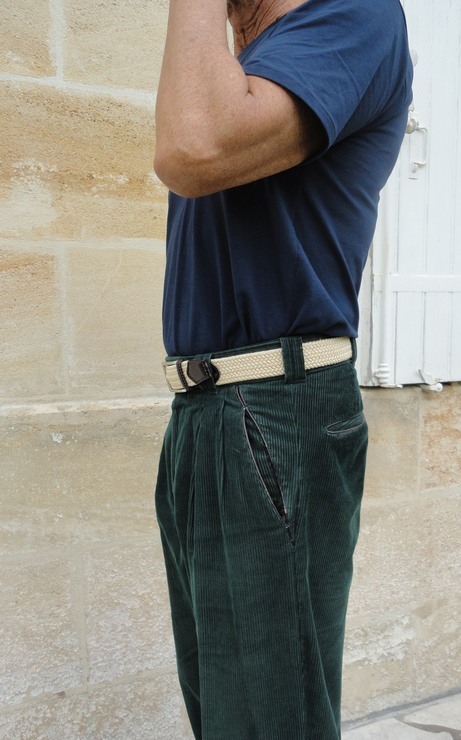 It fits all the slacks we have tried it with. 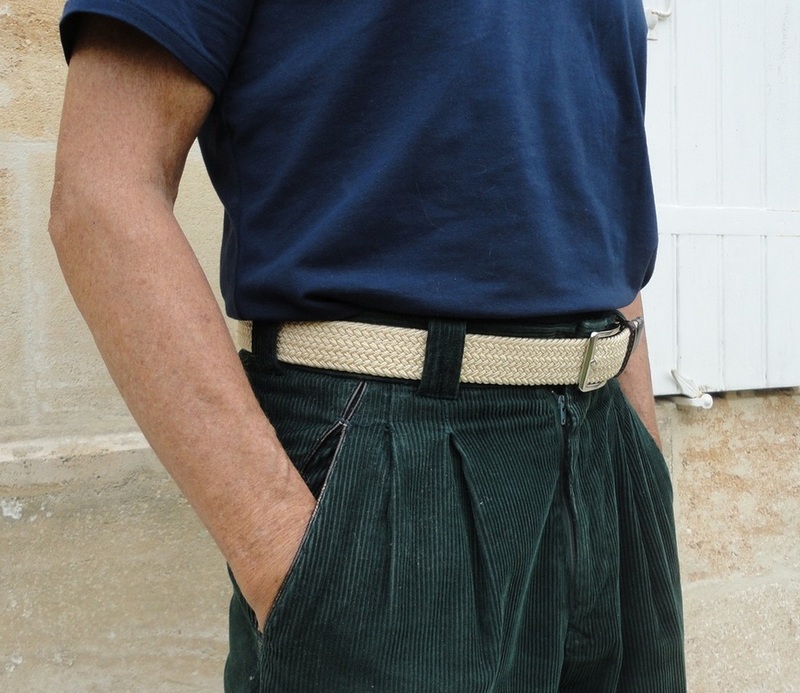 My husband considers it a very comfortable belt to wear and, visually, it works well with jeans, cords, chinos, informal slacks but also shorts. After four weeks of use, the belt still looks brand new and very smart, and my husband has been wearing it mostly with his jeans. 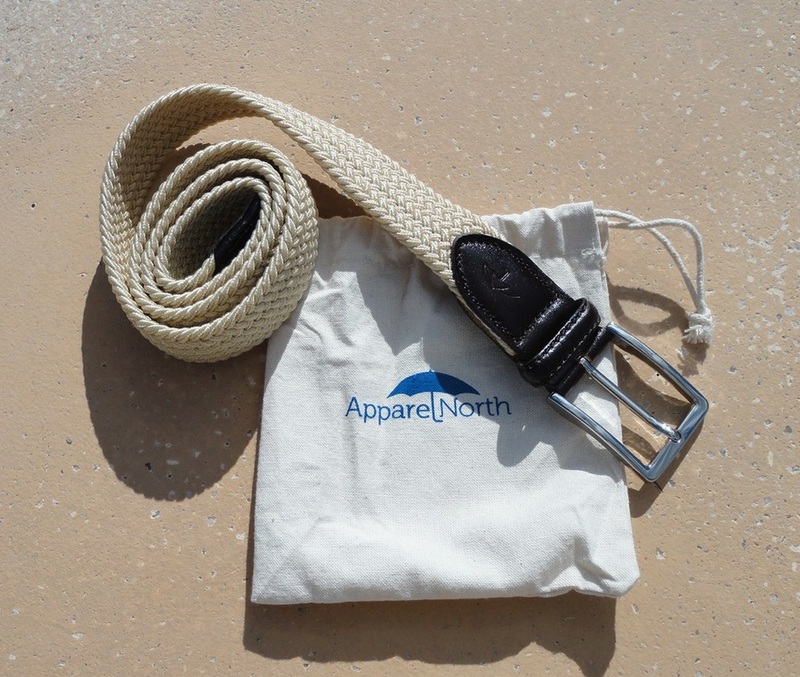 It appears to be durable but even a faded look would not detract from this belt's appeal. We really like it. This original belt is currently available in five colour choices and two sizes: Medium (100 cm or 39.4 inches) and Large (110 cm or 43.3 inches) excluding the buckle. I am reviewing the colour Beige in size Medium for a 32-inch waist. 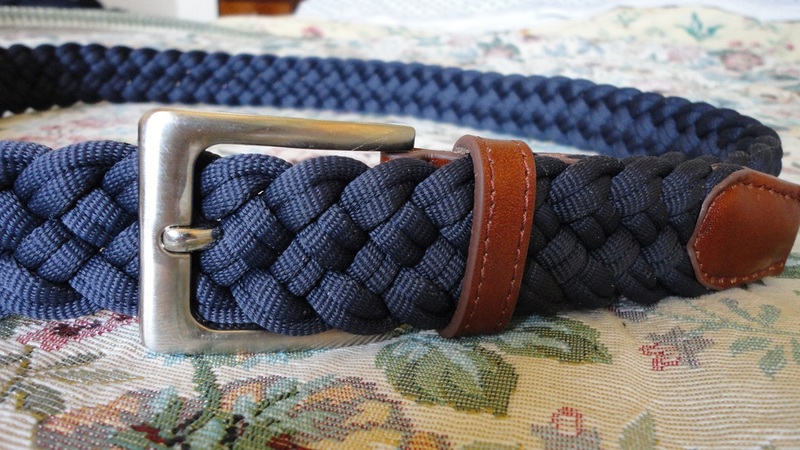 The sizing is very flexible because this braided belt stretches by at least 10 cm. You can even pull it by hand and it will gain some inches. Once on, it gives an amazingly comfortable experience because the elasticity easily accommodates most vigorous movements, making it ideal for sport and casual/smart attires. The belt is made of a tough but good-looking synthetic blend, with a nice sheen and finished with fine leather accents at the edges and a silver-coloured buckle. The materials are excellent quality and, judging by my husband's usage so far over several weeks, I expect it to have a very useful life. The cotton storage bag is a nice extra. The design is original in that it is plaited and instead of pre-cut holes, the buckle tongue can be inserted anywhere along the belt's length by pushing it between strands of the braid. It is, therefore, possible to adjust it precisely to your waist and very easy to modify the fit as needed while wearing it. 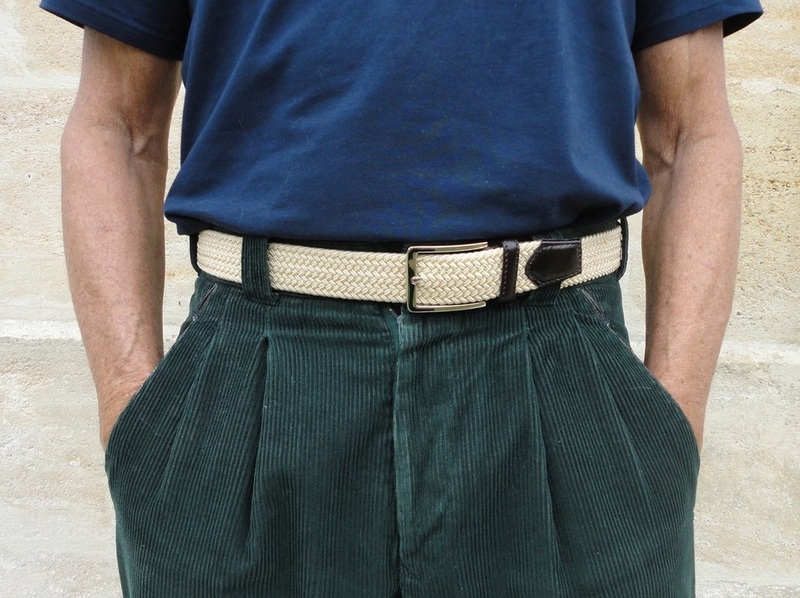 This belt is a regular width (3.5 cm or 1 ½ inches) and fits all the slacks we have tried it with. My husband loves wearing it and finds it very comfortable because of the considerable stretch. 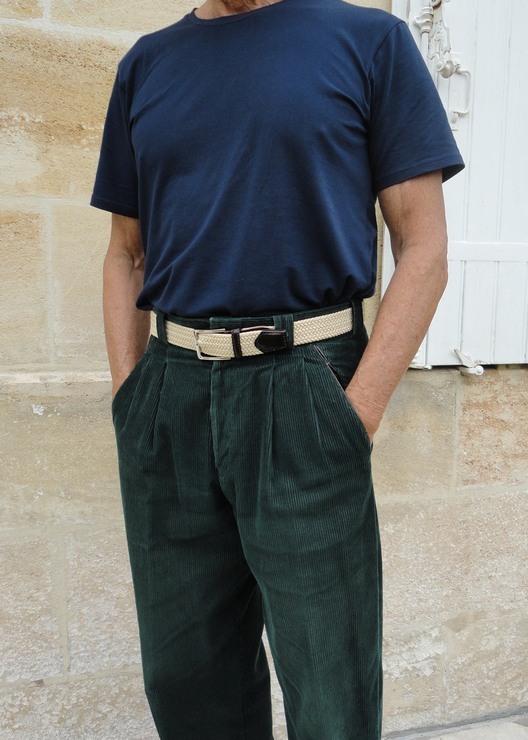 Visually, it's casual but with a certain elegance to it and works well with jeans, cords, chinos, informal slacks but also shorts. At the time of writing, it's available in five lovely colours; I have the Dark Brown, a beautiful chocolate shade. The distinguishing features are due to the braided construction. 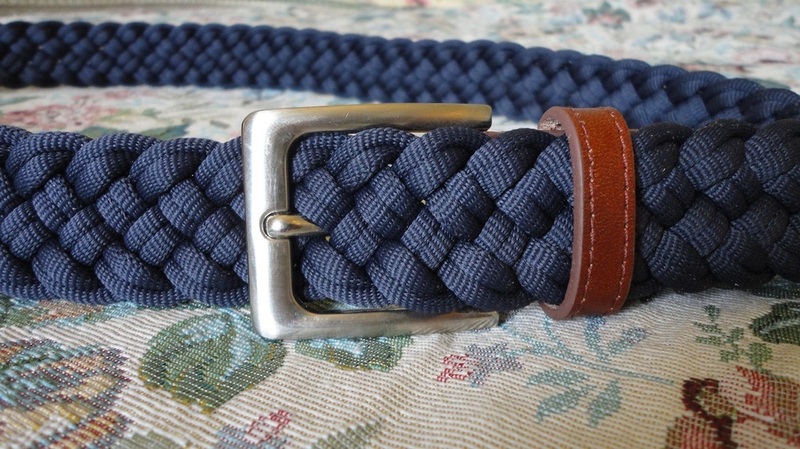 This belt is incredibly elastic (it will easily stretch 10 cm and more) and is fully adjustable because the buckle tongue can be inserted anywhere you like between strands. With no fixed hole positions and the excellent stretch, it remains very comfortable throughout the day, and can be precisely repositioned in a second. The synthetic corded material and the beautiful leather accents look tough and durable. 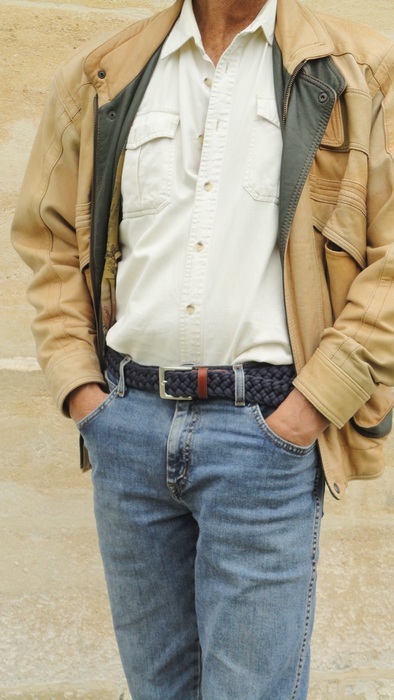 The silver-coloured buckle looks elegant in its simplicity. The cotton storage bag is a lovely touch. 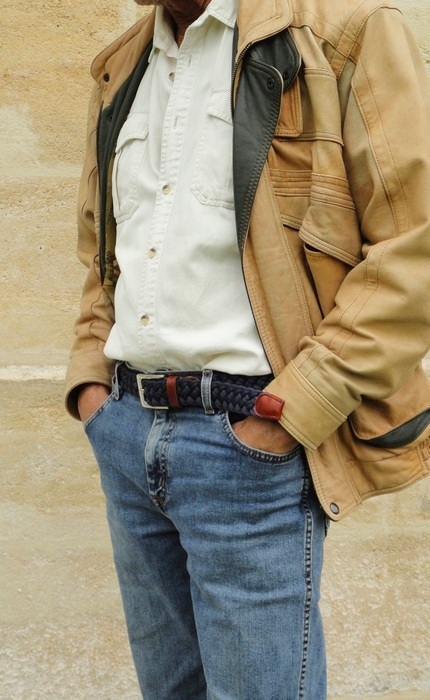 I have a very large collection of belts and this one is currently my favourite for casual/smart occasions. Manufacture and finishes are faultless, with the brand logo etched in leather on one side of the buckle, hidden from view when the belt is worn. 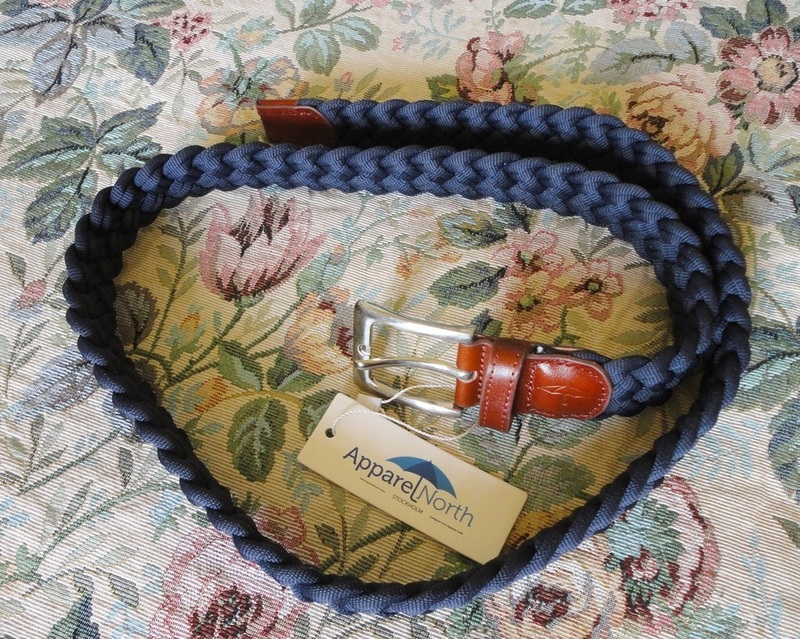 It is available in two sizes, Medium (90 cm or 35.5 inches) and Large (100 cm or 39.4 inches) (excluding the buckle). Keeping in mind that amazing stretchability, I asked for Medium (for a 29-inch waist) and it fits me perfectly. 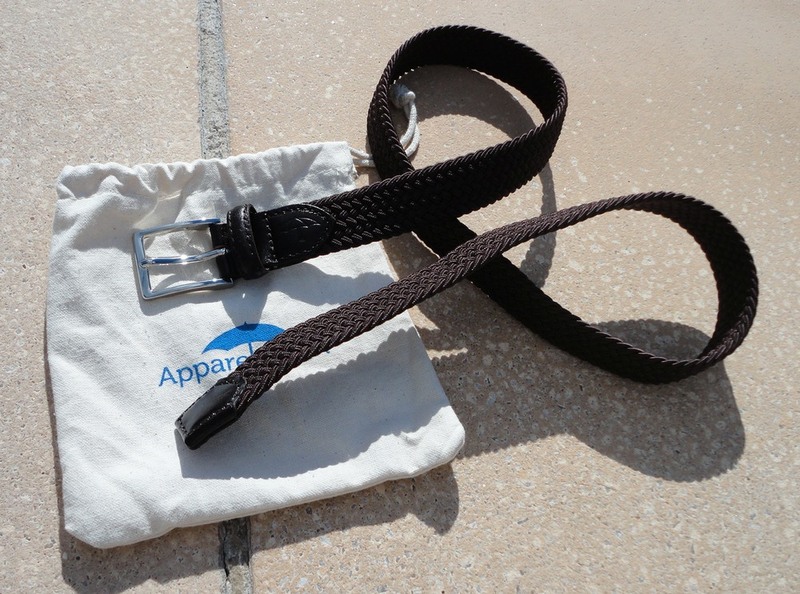 The elasticity means that this belt is a great choice to wear for active sports and for anyone who dislikes restrictive garments. It would have been ideal during my horse-riding years! 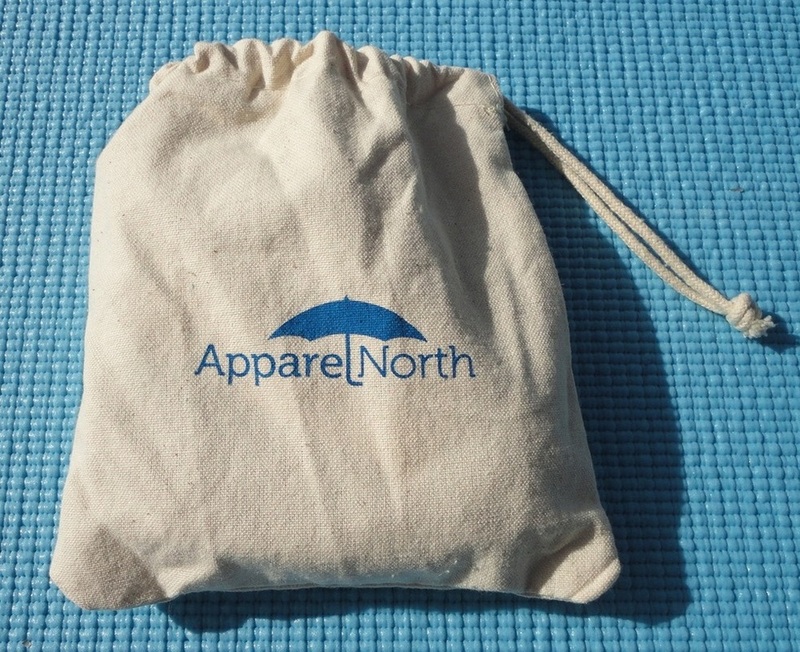 The width is 2.5 cm (1 inch) and fits all the clothes I have tried it with. It looks good with jeans, cords, slacks, shorts and daytime skirts, but also over cotton dresses and loose tops. I'm very happy with it.